If you are facing difficulties in booking your flight tickets for your next journey, then come directly to us. At Om Tours And Travels, we are actively involved in offering dependable flight booking services to the tourists across Bhopal (Madhya Pradesh, India). We are associated with prominent airline agencies across India and abroad. 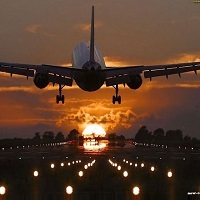 Thus, we provide tickets for domestic as well as international airlines. In addition to this, we can provide the airline tickets even in a case of emergency. So, contact us anytime.